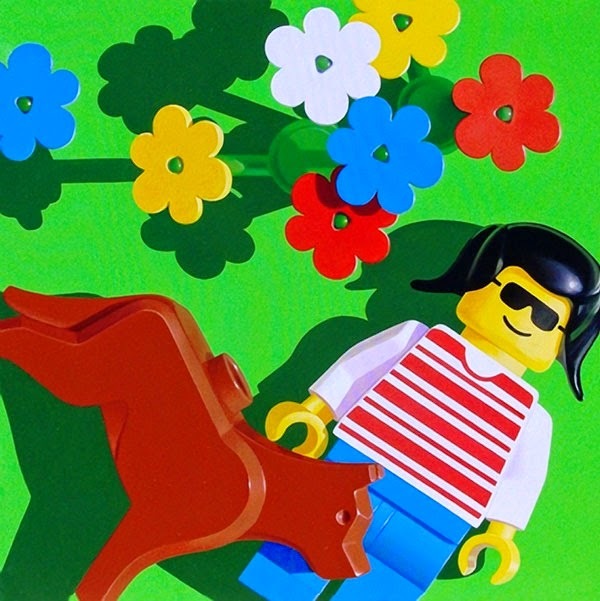 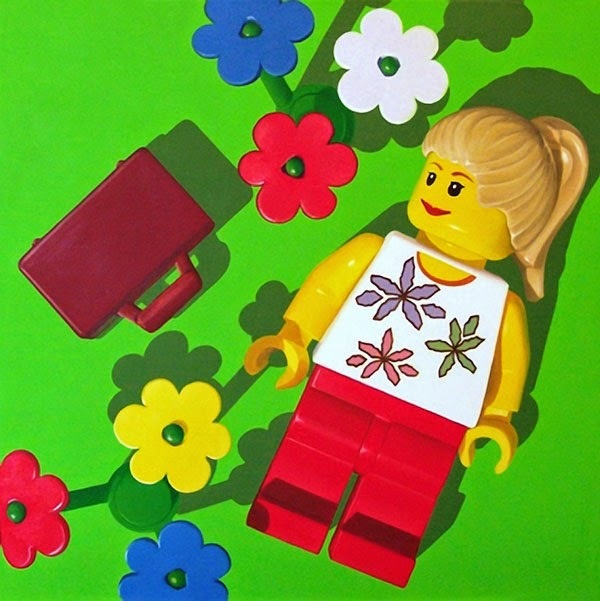 Paintings based on LEGO toys which are staged then photographed. 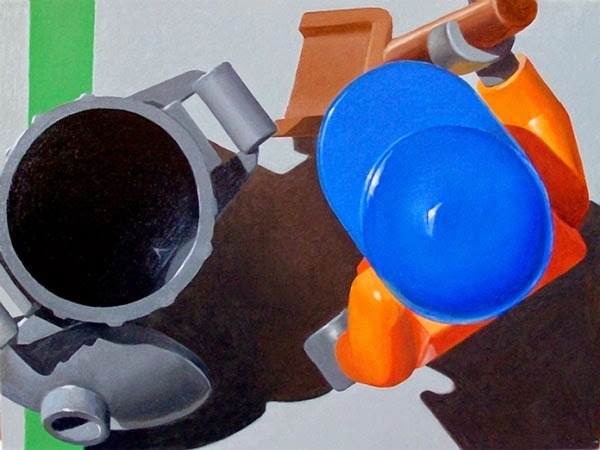 The series is a take on how Google Earth is used to zoom in on people up close such as when they are relaxing at a park. 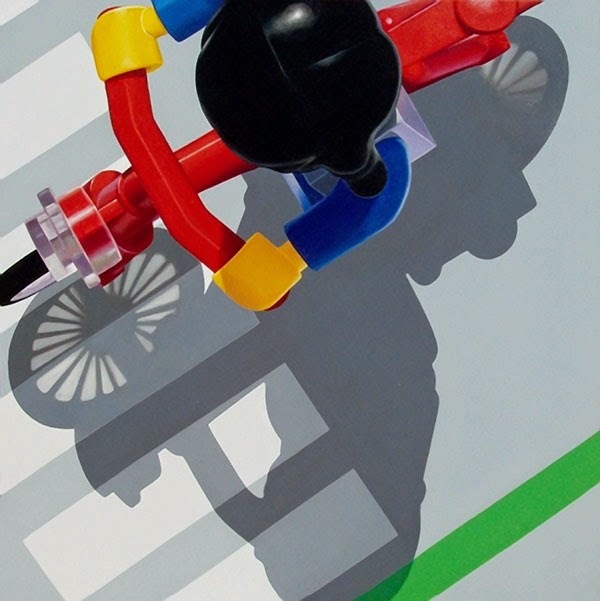 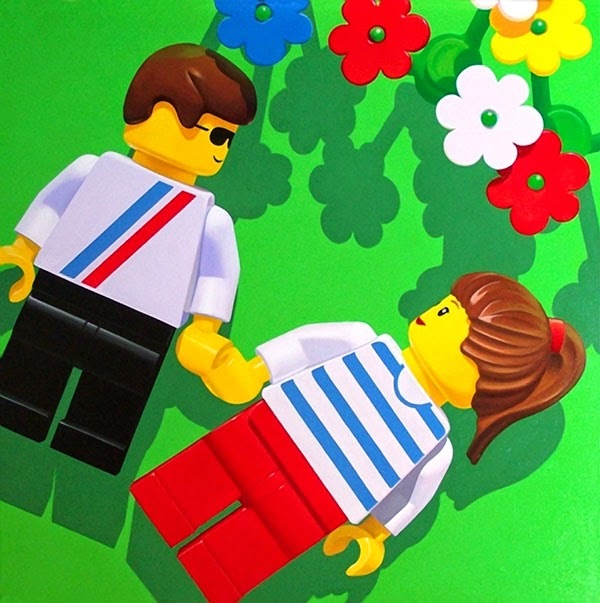 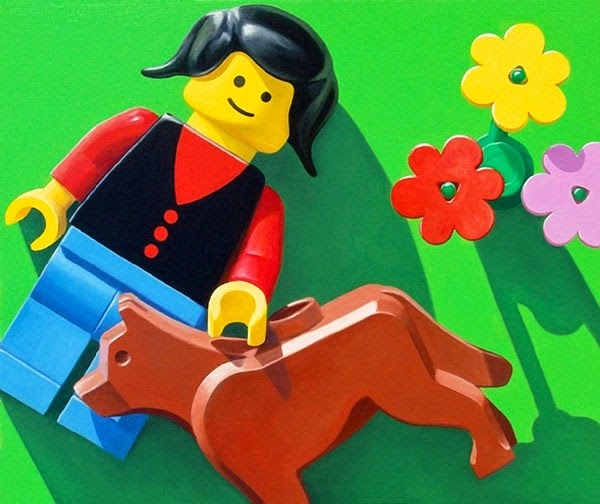 You can see more of his LEGO-themed paintings here.